Many compounds of biological and pharmacological interest are as- metric and show optical activity. Approximately 40% of the drugs in use are known to be chiral and only about 25% are administered as pure enantiomers. It is well established that the pharmacological activity is mostly restricted to one of the enantiomers (eutomer). In several cases, unwanted side effects or even toxic effects may occur with the inactive enantiomer (distomer). Even if the side effects are not that drastic, the inactive enantiomer has to be meta- lized, which represents an unnecessary burden for the organism. The admin- tration of pure, pharmacologically active enantiomers is therefore of great importance. The ideal way to get to pure enantiomers would be by enantioselective synthesis. However, this approach is usually expensive and not often practicable. Usually, the racemates are obtained in a synthesis, and the separation of the enantiomers on a preparative scale is necessary.On the other hand, there is also a great demand for methods of enantiomer separation on an analytical scale for controlling synthesis, checking for racemization p- cesses, controlling enantiomeric purity, and for pharmacokinetic studies. C- ventional methods for enantiomer separation on a preparative scale are fractionated crystallization, the formation of diastereomeric pairs followed by repeated recrystallization, and enzymatic procedures. 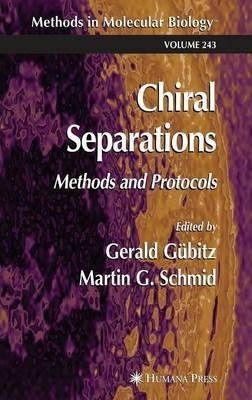 In recent years, ch- matographic methods such as gas chromatography and, especially, liquid ch- matography have attracted increasing interest for chiral separation, both on analytical and preparative scales.